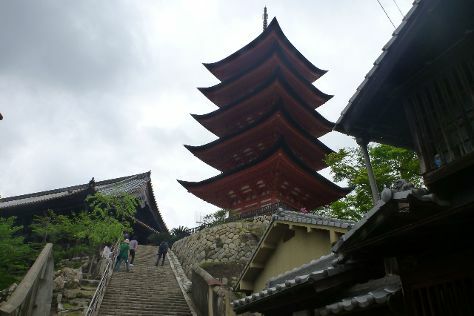 The city of Hatsukaichi developed from a small market town, frequented by passing samurais during the Edo period. The market that developed still runs to this day, and the whole city is now known for its fresh vegetables and woodwork trinkets, ornaments, and art. Thanks to the scenic coastal position and the mountainous terrain of the interior, trips to Hatsukaichi tend to be outdoor-oriented, with seasonal activities include hiking, blossom viewing, and boating. Shrines and temples blessed with rich histories and striking designs add a layer of historical intrigue and spiritual exploration to Hatsukaichi itineraries. Hatsukaichi is in Hiroshima Prefecture. Add Hatsukaichi and other destinations in Japan to your travel itinerary using our Japan itinerary planning website .